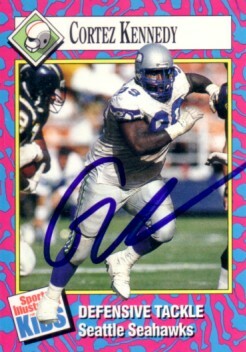 1993 Sports Illustrated for Kids card autographed in blue marker by former Seattle Seahawks Hall of Fame defensive tackle Cortez Kennedy. ONLY ONE AVAILABLE FOR SALE. With certificate of authenticity from AutographsForSale.com.